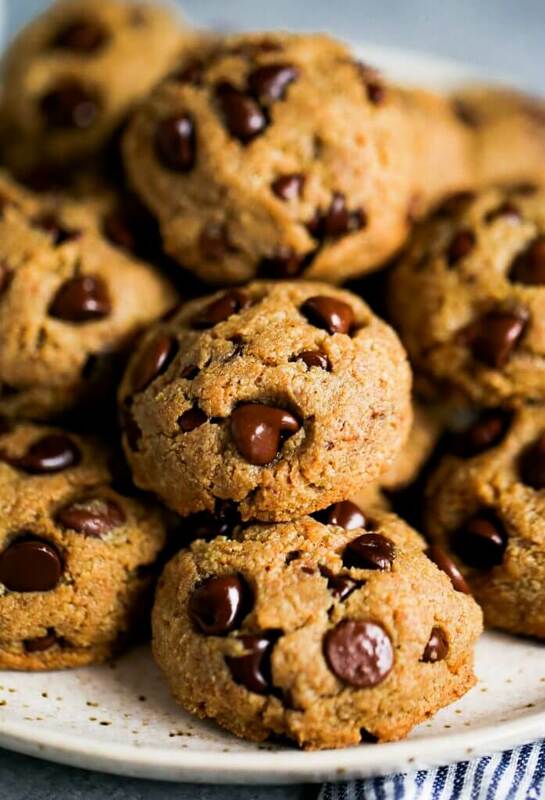 It’s time for a little thing I like to call: cookie talk. Basically, I just talk about how much I love cookies! 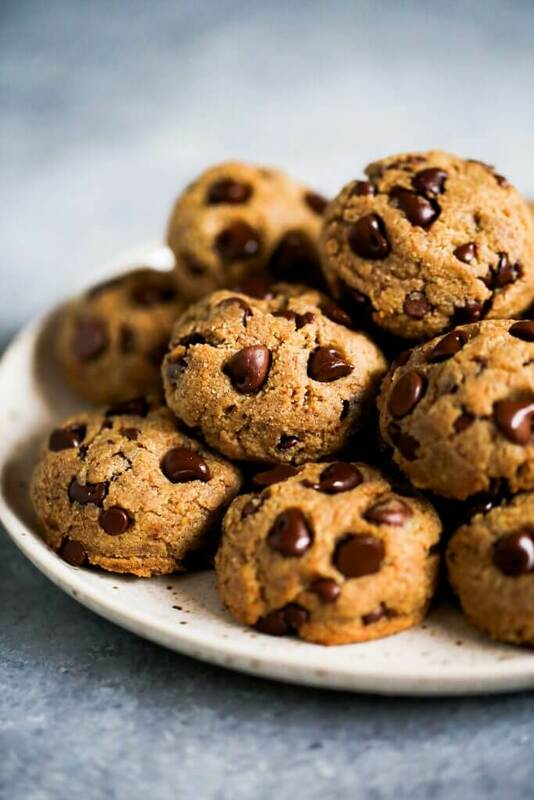 Chocolate chip will always be my go-to, but I’m the biggest fan of healthy cookies that don’t leave you feeling like a sugar coated gummy worm that turned into a slug. 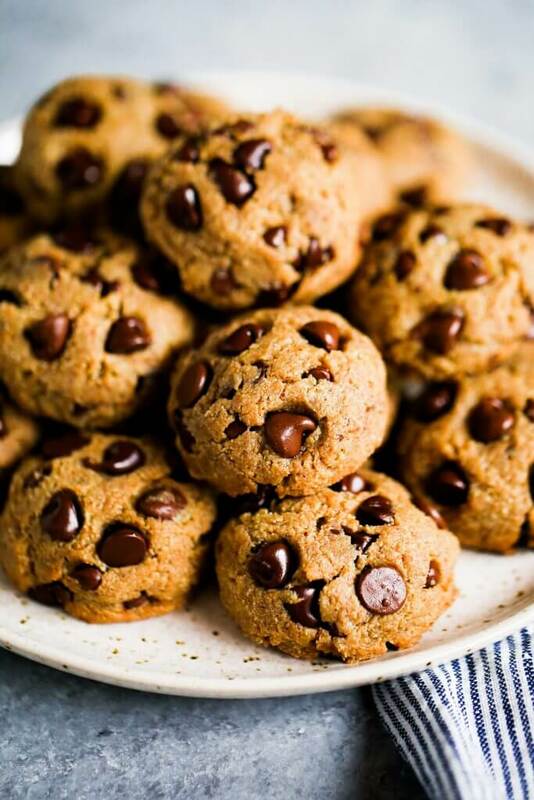 That’s why today’s recipe has a crazy idea behind it: sugar free cookies. Are you feelin’ it or are you scared away at this point? If the latter, then just stick with me until the end and I promise you’ll be hooked on this hype. Yes, it sounds like an oxymoron, but this pile of cookies got devoured by my family and friends in just minutes. So there’s definitely something there in the flavor department. Plus! 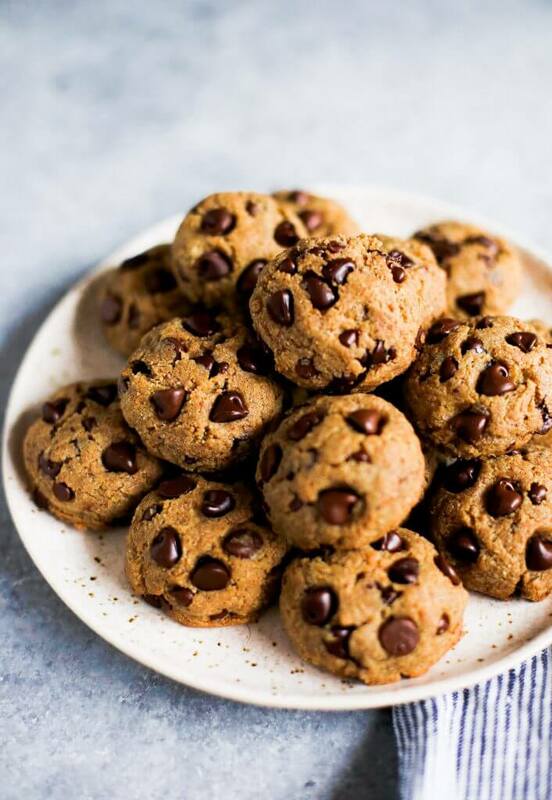 Did you know there are sugar-free chocolate chips? For my first go-round of keto cookies, I think we came out with a winner! 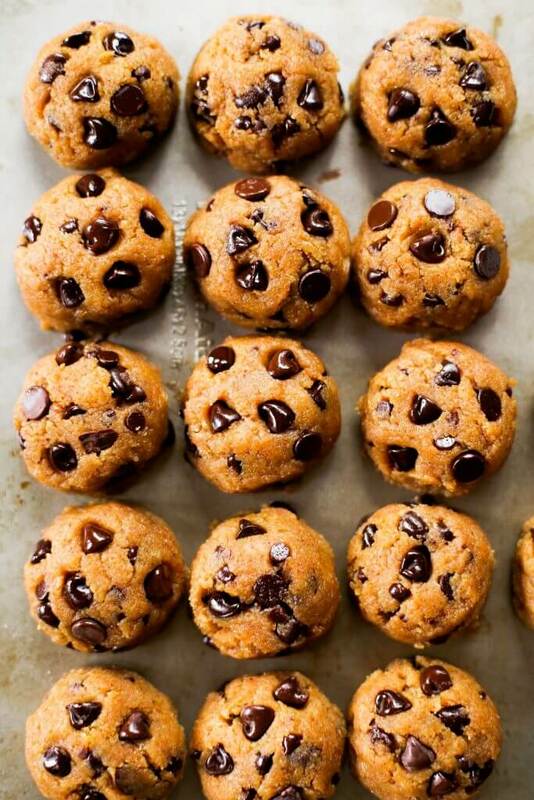 These cookies are made with a base of almond flour for an extra pack of protein. Of course, I loaded up on the chocolate, because who doesn’t love more chocolate? 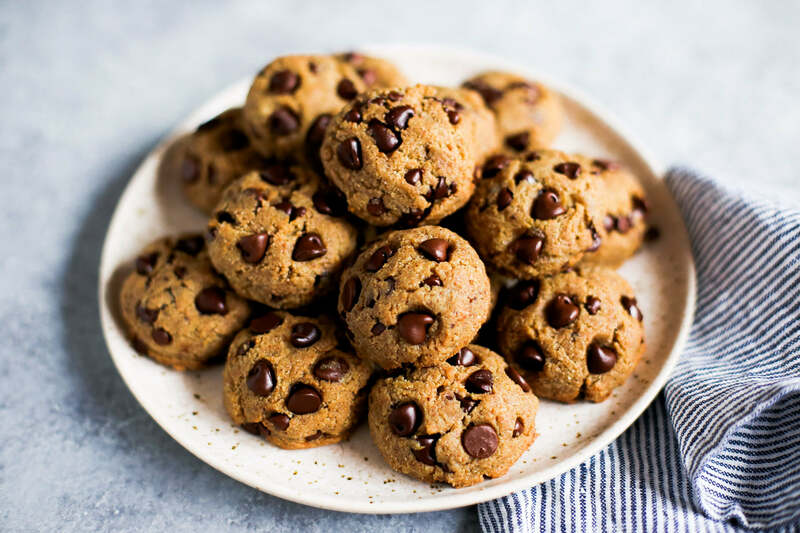 After helping my brother out with his homework this evening and watching all the chocolate chip cookies be devoured, I’m only dreaming about the next excuse to bake more cookies! I have a busy week ahead of me, with the next few days filled with travels and an-oh-so-non-joyous dentist appointment. 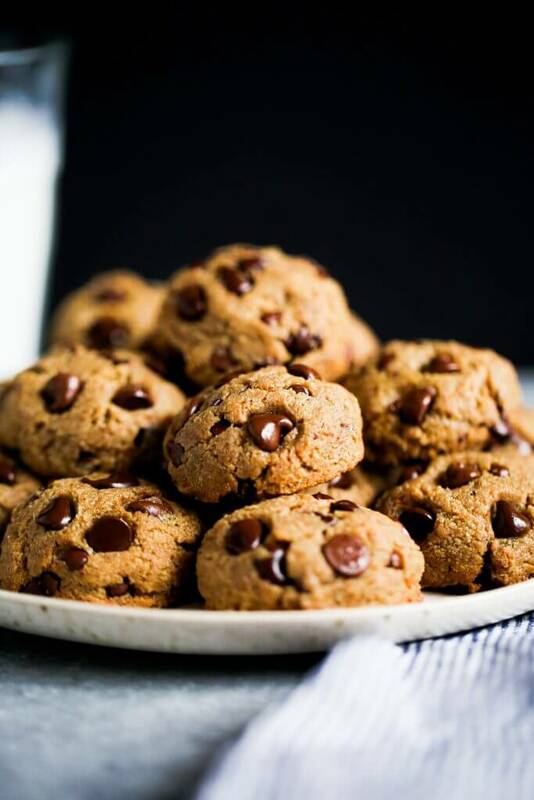 So naturally, I’m stocking my bags with these keto chocolate chip cookies and even more of these homemade brownies! The only logical thing to do before the dentist, right? At least they are sugar free!!! What would you recommend for a substitute for the coconut oil? Sadly, I’m allergic haha. 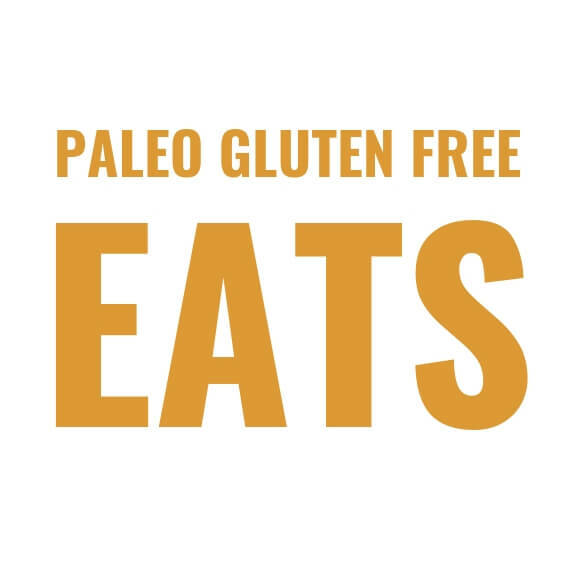 I’m trying to maneuver my way around this paleo lifestyle as I have had a weird sickness that I think derives from the foods I’m eating. Hi Naomi, I think you can use palm oil shortening in this recipe.